StarCraft: Brood War is the expansion pack for the award winning military science fiction, real-time strategy video game StarCraft. Released in 1998 for Windows and Mac OS, it was co-developed by Saffire and Blizzard Entertainment. The expansion pack introduced new campaigns, map tilesets, music, extra units for each race, and upgrade advancements. The campaigns continue the story from where the original StarCraft ended, with the sequel StarCraft II: Wings of Liberty continuing from the conclusion of Brood War. The expansion was released in the United States on 30 November 1998. Brood War was critically well-received, with reviewers praising it for being developed with the care of a full game rather than as an uninspired extra. 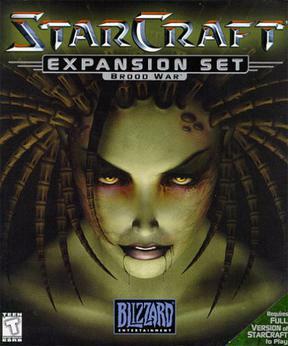 As of 31 May 2007, StarCraft and Brood War have sold almost ten million copies combined. The game is especially popular in South Korea, where professional players and teams participate in matches, earn sponsorships, and compete in televised matches. Organized by the University of Alberta, This uses the BWAPI (Starcraft:Broodwar API), programmed in C++ to let you write an AI bot that can play Starcraft better than anyone else's Bot. The first rule of Starcraft AI competition is (no, you can talk about it!) that the entries must use the latest version of BWAPI as of July 1st 2011 and the source code must be made available as open source. There's some interesting software around that uses BWAPI. For instance BWTA the terrain analyzer which identifies expansion locations, regions and choke points. It includes functions to see if there are paths between two points and even the shortest distance returned as a vector of Tile Positions.